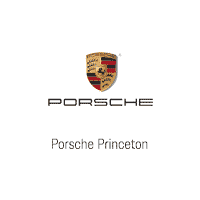 The team at Porsche Princeton would like to welcome you to our dealership in Lawrence Township, where we’re confident you’ll find the vehicles you’re looking for at a price you can afford. Come and check out our full selection of new Porsche vehicles, or get a great deal on a reliable pre-owned model. No matter which vehicle you decide on, our professional finance team will help you get settled with a competitive financing or lease plan. When you’re looking for quality auto maintenance and repairs near Lawrence Township, you can always count on the professional technicians in our Porsche service department as well, where we handle everything from oil changes and filter replacements to powertrain and drivetrain repairs. Schedule an appointment today, or purchase parts from us to handle maintenance and repairs on your own! Lots of folks in Lawrence Township count on the high-quality vehicles and services found at Porsche Princeton, and we look forward to living up to our reputation every day. Stop in and see us today, or contact our staff with any questions! David is very knowledgeable and professional, he enjoys talking about cars! Tiffany is very professional, polite and friendly. She makes the process easy. She’s a true asset! Thank you! My entire experience with the team was first rate. Had an opportunity to interact with Gary, Tiffany, Michael and briefly with Nelson - all treated me well and were extremely helpful in my quest to have my wife drive away with a Porsche Cayenne. All questions were answered and Josie and I feel comfortable that future questions that arise will be handled in the same forthright manner. We leanered a great deal throughout the process thus making it easy to make such an important decision. My vision is that together we will continue with this type relationship - good business practice, good communication and Professionalism always. from the time I got my appointment and I picked up my serviced car was a breeze. extremely professional and good service from brett tokar who not only explained the interim service details but also called me back for the headlight fix and the most surprisingly he gave me a break on the overall service which I did not ask for. it was a good gesture which will keep me coming back for my car service.